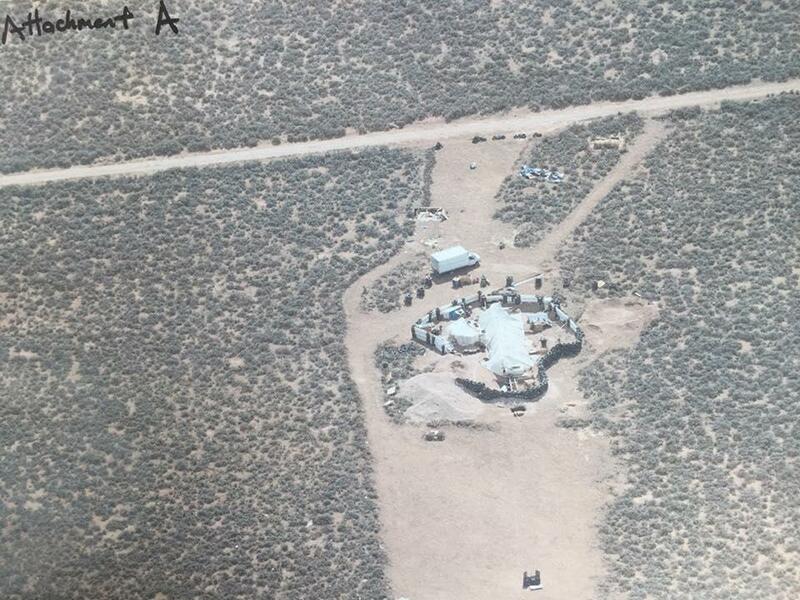 The Taos County Sheriff's office said deputies stormed the underground trailer in Amalia, near the Colorado border, where the 11 emaciated children, aged 1 to 15, three women believed to be the children's mothers and two heavily armed men were found Friday. "The team located a total of five adults and 11 children that looked like third world country refugees not only with no food or fresh water, but with no shoes, personal hygiene and basically dirty rags for clothing," Taos County Sheriff Jerry Hogrefe said. [post_ads]The two men, Siraj Wahhaj and Lucas Morten, were arrested at the scene, the three women were taken into custody for questioning and later released, and the 11 children were placed in custody of the New Mexico Children, Youth and Families Department. "We all gave the kids our water and what snacks we had -- it was the saddest living conditions and poverty I have seen," said Hogrefe. Wahhaj, 39, was wanted for the abduction of his 3-year-old son and was booked without bond due to a Georgia arrest warrant related to the abduction, and Mortenwas charged with harboring a fugitive. Hogrefe told the Albuquerque Journal deputies remained on the scene into the afternoon to search for Wahhaj's son and were unable to find him, but it is reasonably believed he was there a few weeks ago. "We did an extensive search for the missing child, our primary target," he said. "We certainly didn't want to leave that place and leave a child behind and I'm confident we did not." The sheriff's office said none of the adults, including the three women, gave a statement regarding the missing boy's current whereabouts. The women were not charged with any crimes. Eight members of TCSO's Sheriff's Response Team and the State OSI Unit executed a search warrant on the compound on Friday after a message that was forwarded to the office by a Georgia detective. Wahhaj was found armed with an AR15 rifle, five loaded 30 round magazines, and four loaded pistols, including one in his pocket when he was taken down, police said.